These days I am more into handmade, organic & ayurvedic skin care. 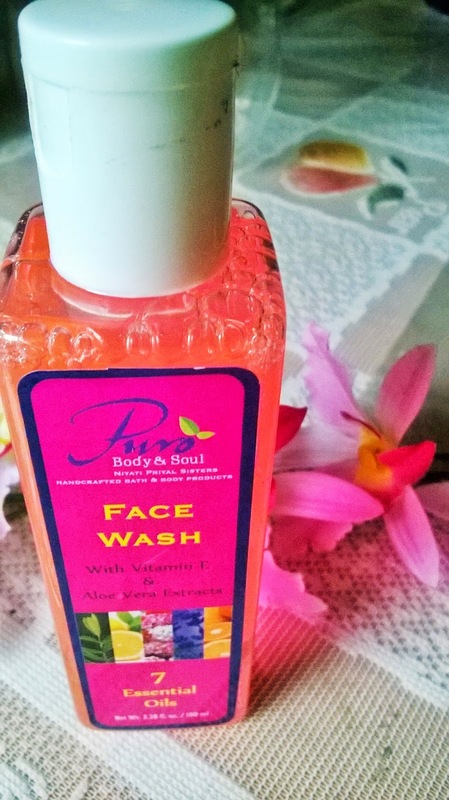 And today I bring to you one such face wash-Puro Body & Soul Face Wash. This is a division of Shramik Naari Sangh, an organization that looks at the upliftment of underprivileged women. Derived from the Spanish word for Pure, the Puro range of natural, ‘harmful chemical’ free, handcrafted bath and body care products are made from 100% vegetarian ingredients and are cruelty free as they do not include animal by-products nor are they tested on animals. Puro products are creatively designed to appeal to peoples various senses like sight, smell and touch. 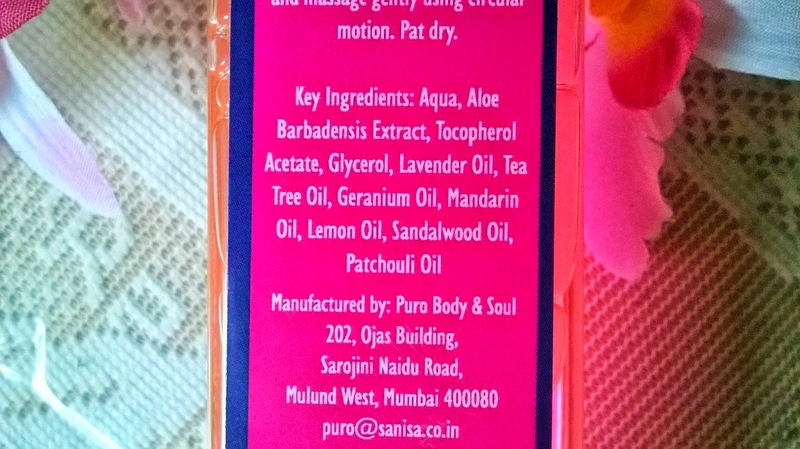 They have been prepared by using the richest and highest quality ingredients ensuring that Puro sets the benchmark in body care products. 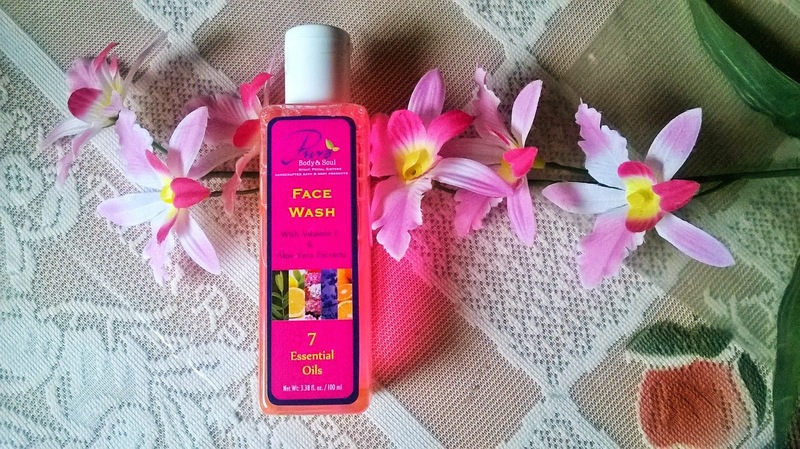 SLS, SLES free face wash that clears clogged pores to reveals silky smooth radiant looking skin. Packaging: The packaging of Puro Body & Soul Face Wash is very pretty transparent bottle with a white flip-open cap. 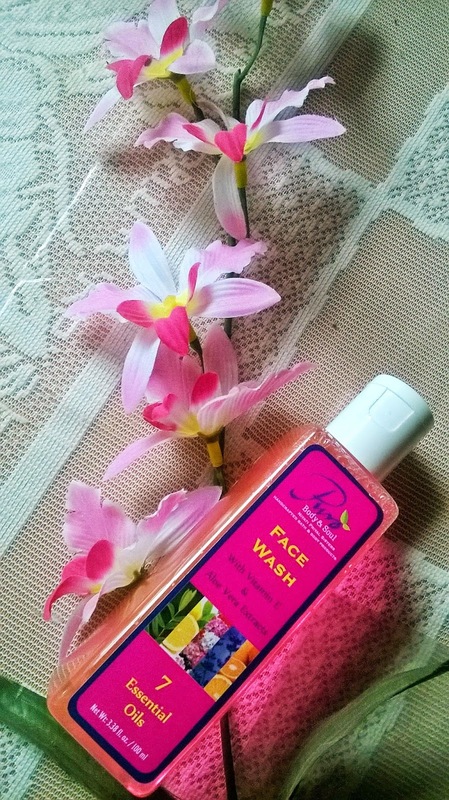 Product: The face wash is a bright pink coloured very light liquid and smells like rose petals. 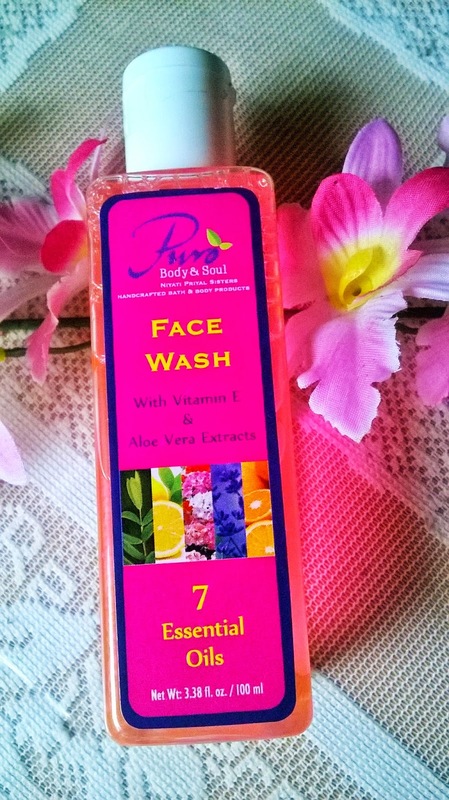 My Experience: The most noticeable thing about Puro Body & Soul Face Wash is its look. I have seldom seen a face wash that looks so bright pink. 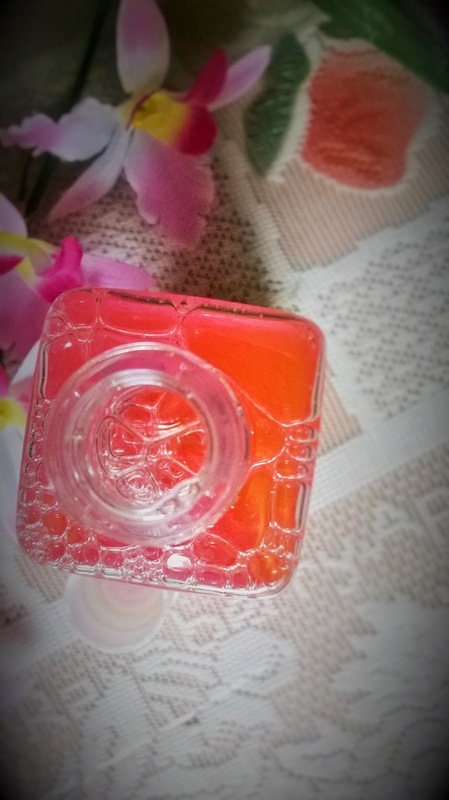 the fragrance is mild and fresh, that of rose petals. The consistency of the product is quite runny almost like water. It lathers decently and leaves your face clean and fresh. I enjoy lathery face washes. It makes the skin a bit tighter and you can actually feel it. If you have drier skin, I would suggest the use of a toner or rose water after cleaning the skin. But what this face wash has done to me, no other product has been able to tackle for the past so many years. And that is shrinking of my pores. Yes, ladies, here is a product that really improves your skin's texture by reducing the appearance of the enlarged pores. I would not say it does wonders in curing blemishes or pigmentation. But it definitely gives a much better and youthful skin with regular use. And the fact that is is made up of 100% natural extracts, makes it a better choice. 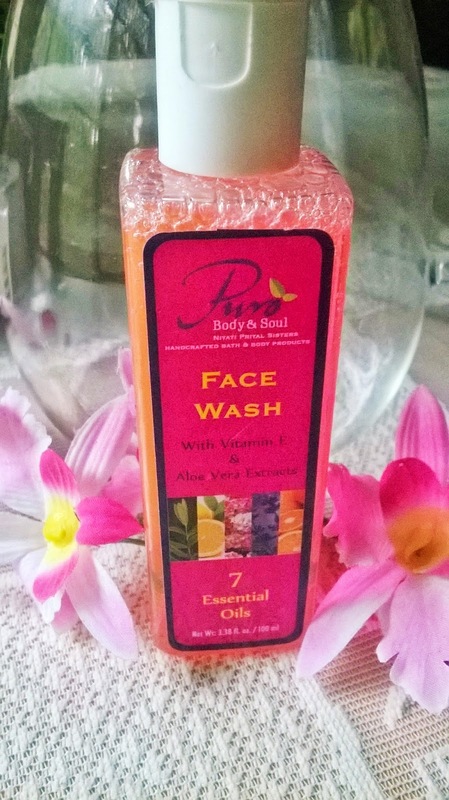 Puro Body & Soul Face Wash is a great choice for anyone having issues with enlarged pores. 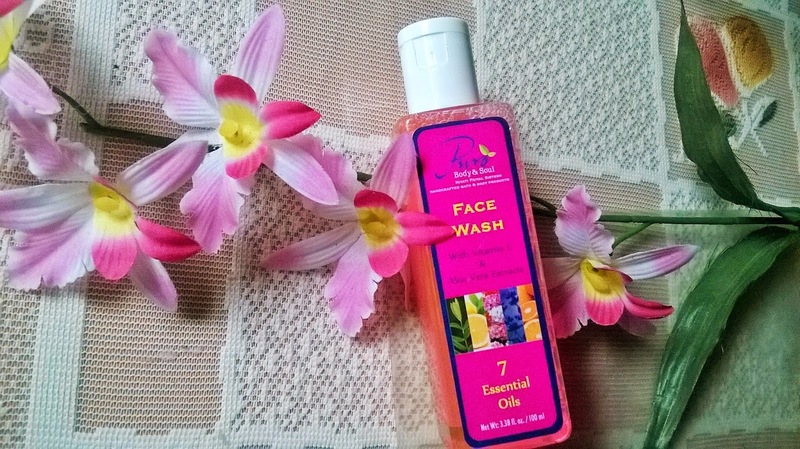 And if you are into pretty looking and sweet smelling skin care stuffs this face wash is a definite buy for you. 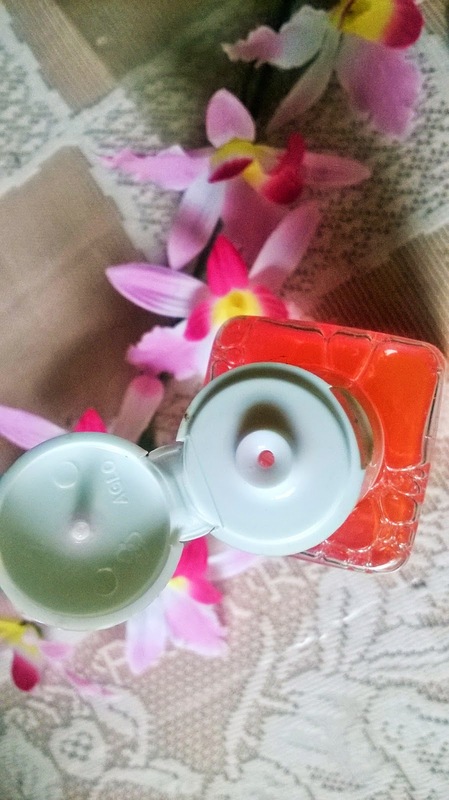 I am definitely going to repurchase this product as it a beauty for a good cause as well.